I recently discovered my old diary from 1992-1994. I was in 8th grade around that time. As I read through every entry, I was blown away; I couldn’t believe I wrote the things I did! Most of the writing was about all the boys I thought were cute, or which of my friends didn’t like me, or which of my friends I didn’t like that day, or how far I had gotten on The Legend of Zelda the last time I played it. But there were some deeper entries as well. That diary saw me through my parents’ time in Amway, which I thoroughly hated, the building and completion of our new house, my struggles with liking and/or hating my table-mate in study hall and the death of my gerbil, Friz, the death of my grandpa on my dad’s side, as well as the death of my elderly neighbor, Phillis, which was very tragic for me. I thought a lot of boys were cute. I didn’t have many fantastic friends. I was obsessed with The Legend of Zelda. I was obsessed with Barbies. We had a lot of cats. I wore some strange clothes. Whoa, hold up, what was that? I liked baking? It’s true, I talked about baking stuff in my diary. Not only that, I actually critiqued meals. I had no idea I was that into food in 8th grade. What an interesting read that was. I do remember flicking through cookbooks and clipping out recipes from magazines years ago. In fact, I had a special little folder for all those clippings. However, I also remember not understanding much about food and how recipes worked at all. I recall beating butter and sugar together by hand to the point where I was sure my arm would fall off; I didn’t know that, most likely, the recipe meant to use an electric mixer. I also recall wondering why on Earth a chocolate cake recipe or chocolate chip cookie recipe would use salt! It didn’t make any sense to me, so I’m pretty sure I left it out most of the time. My 8th grade self would probably be disgusted that my favorite ever chocolate is Lindt’s sea salt & dark chocolate bar! I was a crazy little thing! Luckily, I now have more of an understanding of food and recipes, otherwise this blog certainly wouldn’t exist! 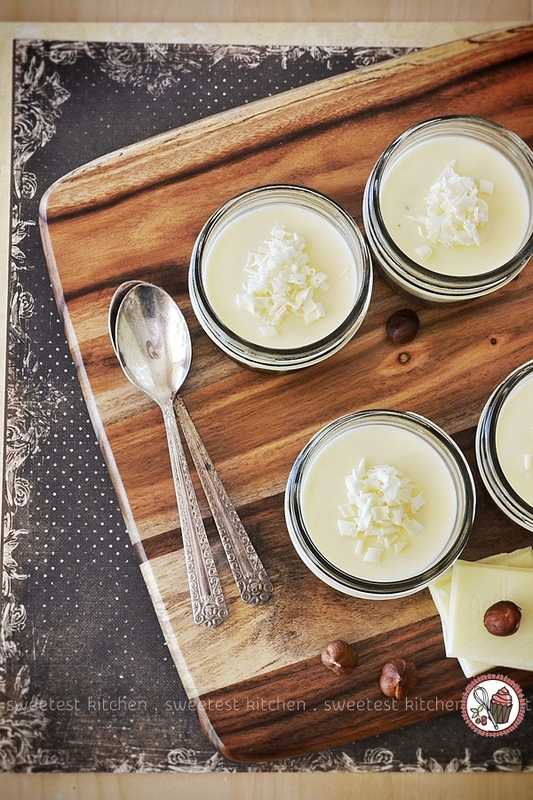 Speaking of recipes, why don’t I get on with this post and what it’s actually supposed to be about – white chocolate and hazelnut panna cotta. I have never made panna cotta before. The pictures I’ve seen of various combinations of flavors look really lovely, but I’ve never been inspired to make any of them myself. Until now. The last time I went grocery shopping, I had a quick look at the foodie magazines. There wasn’t anything of much interest (and I already had the Donna Hay and delicious. mags), but I picked up a cheap little magazine called Super Food Ideas. I generally don’t buy this, but it had a few chocolate cakes and recipes to use up freezer staples such as peas, broccoli and corn. It was only $2 so I bought it. Later, when I looked through it, the recipe at the very back of the magazine looked amazing. It was for a white chocolate and hazelnut panna cotta. It seemed super easy, and luckily I had all the ingredients on hand already. It was, indeed, super easy to make. Milk, cream and sugar are heated in a saucepan. White chocolate is added, then a sprinkle of gelatin. While this mixture cools, chocolate-hazelnut spread (i.e. 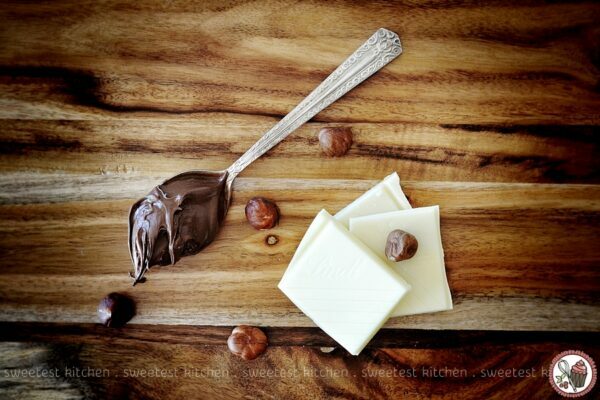 Nutella) is stirred with chopped hazelnuts and layered into serving bowls. The white chocolate mixture is then poured over the Nutella and the whole thing is refrigerated for 4 hours. For extra fanciness, each bowl is decorated with shaved white chocolate. I had been dying to try a white chocolate recipe for a while now because my local grocery store finally started stocking Lindt white chocolate. If you’ve been following me for a while, you will know that my chocolate of choice is Lindt. Up until now, I’ve had to settle for inferior white chocolate, so I literally jumped for joy when I finally saw Lindt white chocolate on the shelves next to the array of other Lindt chocolate bars. Lindt’s white chocolate is the best I’ve had yet; I’m surprised I even had enough left for this recipe (because sometimes I have a little nibble of it when no one’s looking!). Waiting 4 hours for the white chocolate-gelatin mixture to set was quite excruciating. In the meantime I wondered if the combination of white chocolate and Nutella would be too sweet. And I kept poking my head in the refrigerator to give the little bowls a wobble to see how they were setting. Tasting time came and I couldn’t have been more pleased with how these turned out. They were just lovely! The white chocolate-gelatin mixture was perfectly set and not too sweet. It tasted amazing with the layer of crunchy Nutella underneath. My first ever panna cotta was a roaring success! This is a recipe I will definitely be making again. It would be perfect for dinner guests; you wouldn’t even have to tell them it was Nutella underneath as they’d probably think it was something you slaved over for hours in the kitchen and was lucky that you got it to turn out right! They wouldn’t have to know how easy it actually was! Okay, so here are some notes on the recipe… I added a scant less sugar to the white chocolate-gelatin mixture because I was worried it was going to be too sweet. In the end, it wasn’t, and could probably take the full amount of sugar after all. 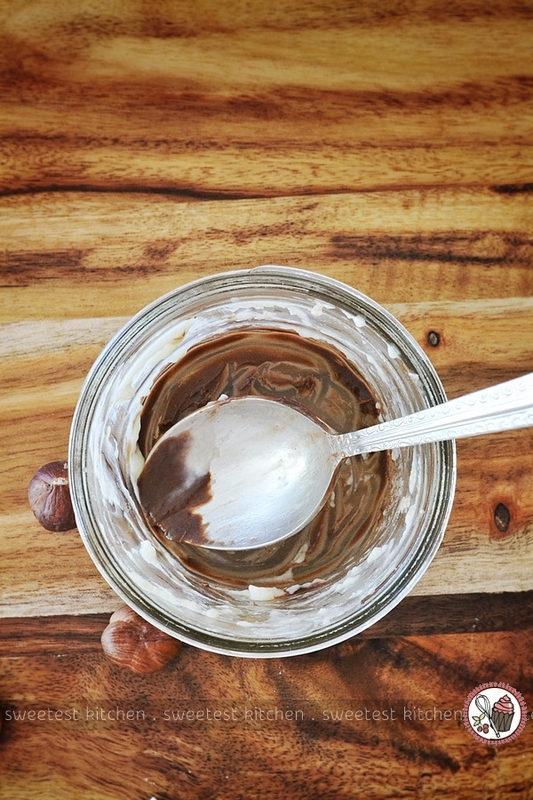 … Spreading Nutella in the bottom of the bowls without getting a mess all over the sides was extremely tricky! I gave up, emptied out all the Nutella I had already smeared in 3 of the bowls, washed them out and melted the Nutella in the microwave. The melted Nutella was easier to work with. I dropped a tablespoon of it into the bottom of the bowls, gently spread it around with the back of a small spoon and tapped it a few times on the counter-top to flatten it out and eliminate air bubbles. It worked a treat. So what were you doing in the years 1992-1994? Did you keep a diary back then? Do you still have it? 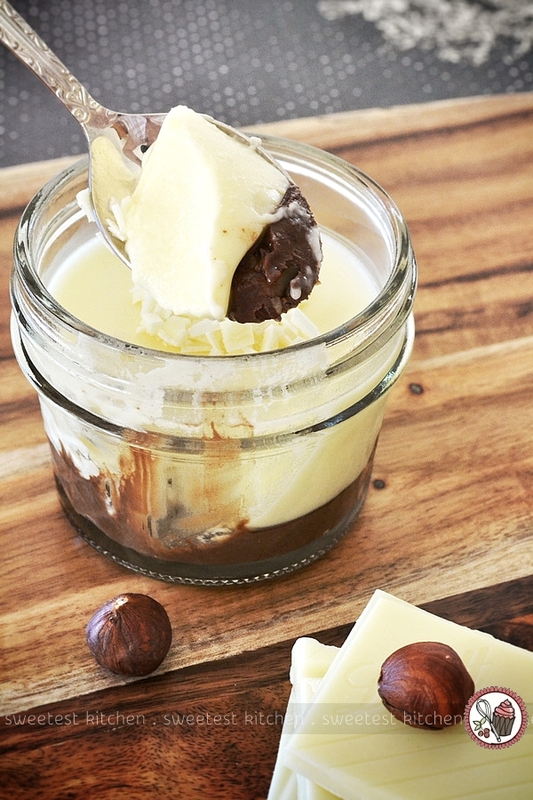 A quick and light dessert featuring white chocolate and chunky Nutella, perfect for dinner guests or as a simple indulgence. Place cream, milk and sugar in a small saucepan over medium-low heat. Cook, stirring, for 4 to 5 minutes or until almost simmering (do not boil). Remove from heat. Add 25g finely chopped white chocolate. Stir until chocolate is melted and mixture is smooth. Pour mixture into a heatproof bowl. Sprinkle over gelatine. Whisk to dissolve gelatine. Cool for 10 minutes. Meanwhile, stir chopped hazelnuts (add more or less depending on how chunky you'd like it) through chocolate hazelnut spread. 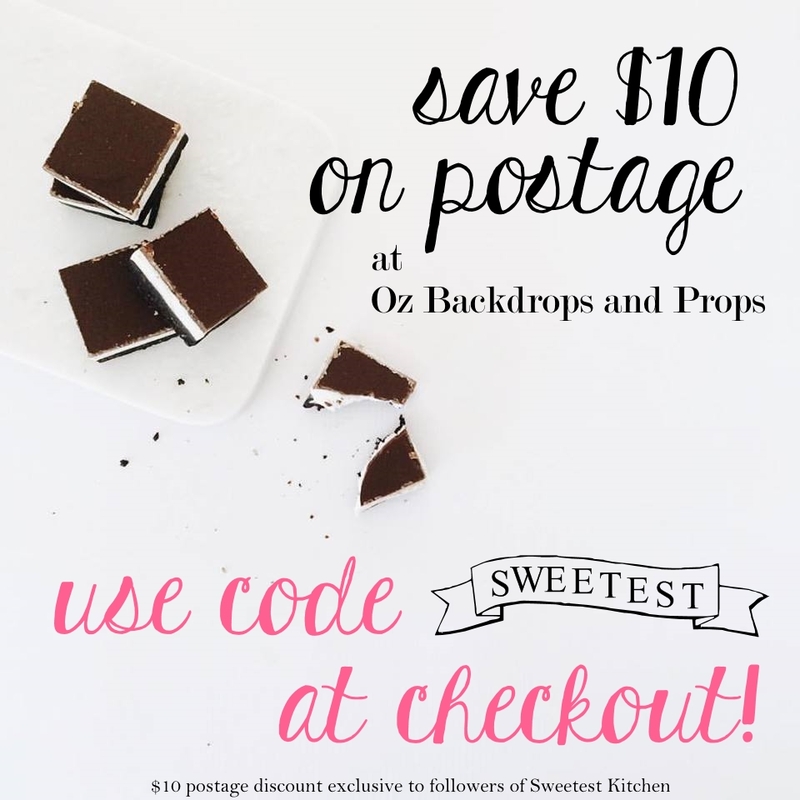 Spread 1 tablespoon of spread onto the bottom of 4 100ml-capacity serving bowls. Smooth top. Carefully pour cream mixture, over the back of a metal teaspoon, into each glass. Cover with plastic wrap. Refrigerate for 4 hours or until set. Remove from refrigerator 10 minutes before serving. Decorate with remaining 25g shaved white chocolate. Serve immediately. 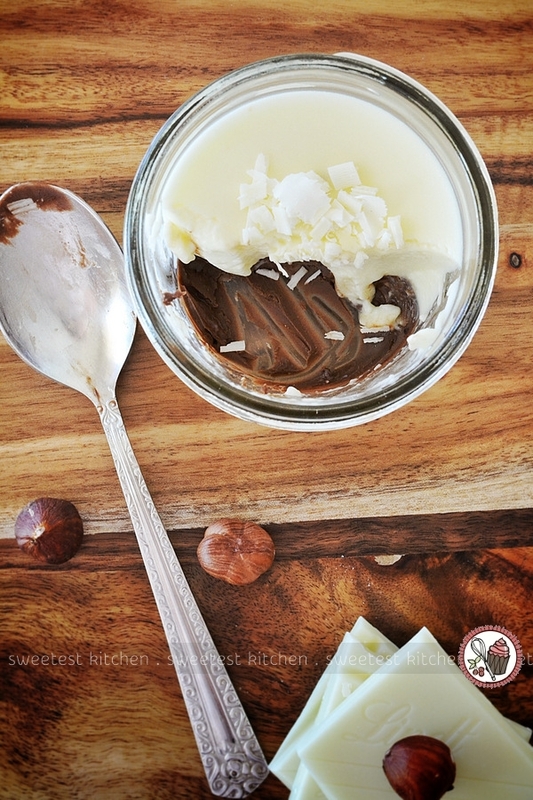 You may find it easier to layer the chocolate hazelnut spread if it is melted. Heat the spread in the microwave until it is melted (do not allow it to get too hot or boil), then spoon it carefully into the bowls and spread it evenly. Tap the bowls on the counter-top to help even it out and eliminate air bubbles. 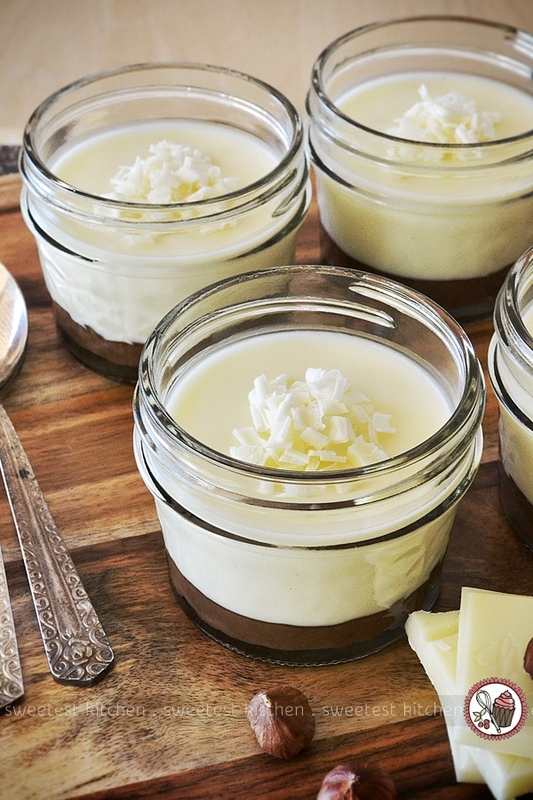 Allow an extra 10 minutes cook time for cooling, and an extra 4 hours for the panna cotta to set. lol! Unfortunately, I didn’t know you or Elizabeth when I was in 8th grade; can’t quite remember when you moved there. I had some friends in 8th grade who either hated me or liked me, depending on what day it was. And I had other friends that I didn’t really like that well. I think the person in study hall that I mentioned in this post moved to Brazil (Indiana) before you moved there; do you remember a sort of geeky kid named Shawn P___o? I think at that time I wasn’t quite sure who I was, or what type of crowd I might have fit in. I sure am glad I met you and Elizabeth later in high school, though! I’ve been on a bit of a panna cotta kick lately. LOVE the idea of the white chocolate and hazelnut flavours. Will definitely be making this! What’s caster sugar I’ve never heard of it. Caster sugar is really fine white sugar. I always use it in baking. I never found it in the US, but it is in every grocery store here in Australia!